After a few years in early access and some help from Kickstarter, We Happy Few is finally out. Players will venture into an alternate history where the Nazis beat Great Britain in WWII. After suffering a traumatic event, the people of Wellington Wells turn to a drug named Joy to forget their memories. Three citizens have woken up and discovered they want out of this Joy riddled dystopia and must fight, sneak, and conform their way to freedom. After Britain loses to Nazi Germany in WWII, the Germans occupy the country. The people of Wellington Wells choose to commit an atrocity in exchange for their freedom, leaving the community wracked with guilt over the consequences of their action. To sooth their conscience, a wonder drug called Joy is developed. Joy allows the community to forget their past and ignore the squalid condition they now find themselves in. Those who cannot or refuse to take Joy are forced out into the country side in extreme poverty, where they must fend for themselves. I like the themes We Happy Few tackles. Considering the opioid epidemic in some parts of the world, exploring what sort of traumas would drive an entire community to drugs is a rather timely subject. The game’s lore and setting are fascinating. The writers also opted to add recaps of major story cinematics in the notes section. I wish more games would do that, as it is an excellent way to review major plot points for those of us with short memories. 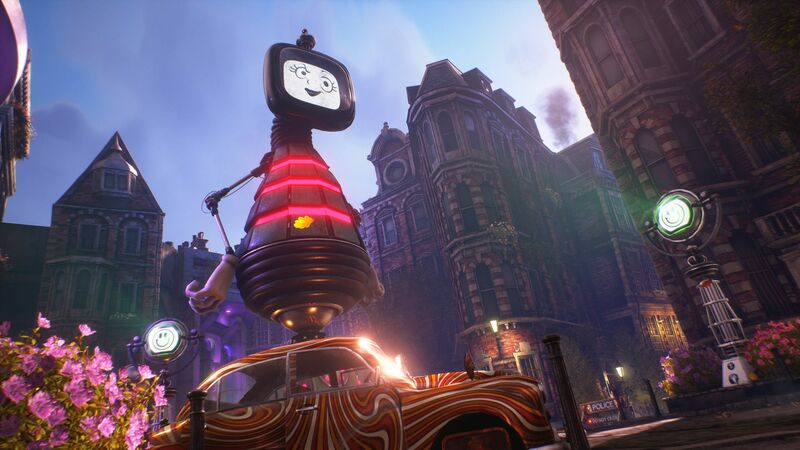 While We Happy Few’s writing excels in the bigger picture, the same level of care has not been taken for the mundane aspects of video game writing. Casual NPC dialogue is extremely limited. Players will hear the same handful of lines as they walk around and chat with NPCs to keep suspicion to a minimum. Players will also hear a lot of NPC lines that are completely out of context. For example, a player can trespass in a home. As the angry home owner chases them out with a bat, “you murderer!” can often be heard, even though no one has been harmed. 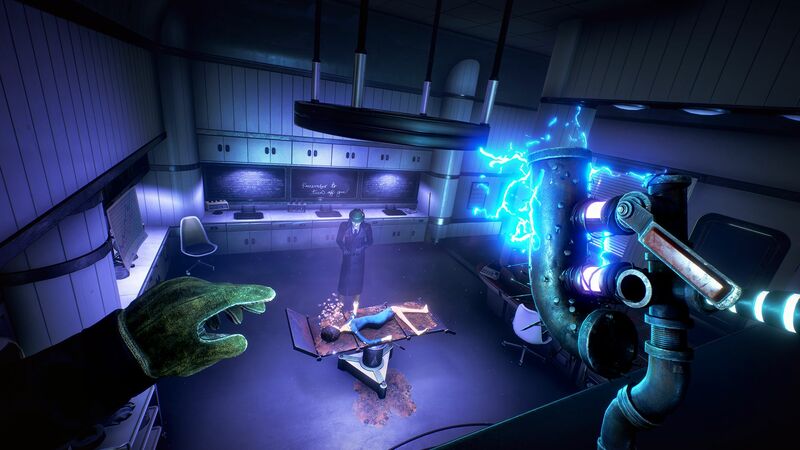 We Happy Few is a stealth game more in line with old school titles. Players are vulnerable and not the predator in the shadows. Instead, they can be easily swarmed by enemies, often making stealth or conformity a much easier option. The stealth mechanics is generally passable, but some mechanics can be finnicky at times. Bushes that visually appear large enough to conceal the player are useless, as players can only hide in pre-set bushes containing sunflowers. I am not a fan of the decision to make Bobbies immune to takedowns, forcing players to use distractions or outright combat. I can understand the decision, as it forces players to fear Bobbies more than the average NPC. But the Bobbies’ rural counterparts can be taken down and they are common enough to be a nuisance that taking the skill for Bobbies to ignore the player after curfew is an absolute must if players plan on spending any serious time moving around at night. We Happy Few’s AI is stupid, becoming painfully obvious when using stealth approaches. The AI tends to ignore hostile actions and fail to return to their original spot after chasing a player. Distracting enemies can be a challenge as their range of hearing is small, the throwable weapon range is equally small. The combat system is weak. Melee combat doesn’t feel tight at all. Shoves and quick melee attacks seem to be the most reliable combat option with the game’s limited stamina bar. Blocking isn’t nearly as effective as it kicks in after a short delay and stops stamina from regenerating. There are a variety of gadget and tools that augment melee combat, but none of them are designed to completely replace a good old brawl. Social conformity the new mechanism brought to the old stealth genre. Players are expected to conform by behaving politely, wearing the correct clothes, and in certain cases taking Joy. Failure to conform will bring the full wrath of the locals down upon the player, often forcing them to run from a mob. Certain enemies and devices are able to detect players who are not under the effect of Joy, requiring players to sometimes dip into the drug to avoid detection or enter certain areas. Taking Joy comes at a penalty, as withdrawal hits players with a variety of nasty debuffs. 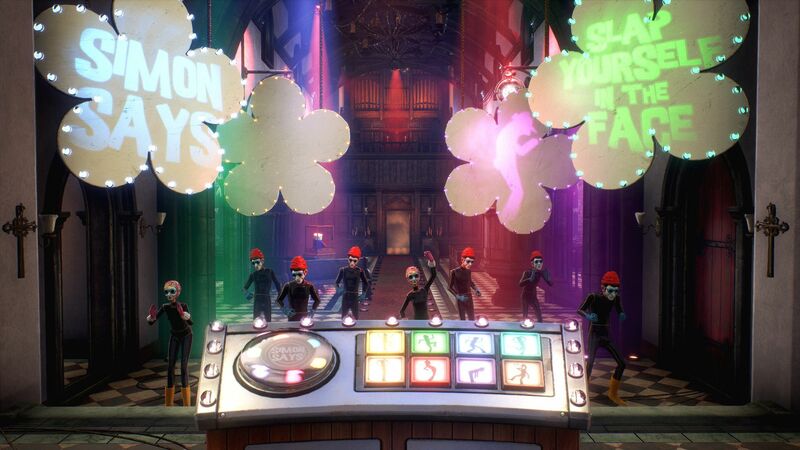 While social conformity is really another form of stealth in We Happy Few, Joy is a neat risk management system where players need to constantly consider when and where is the best time to pop a pill. 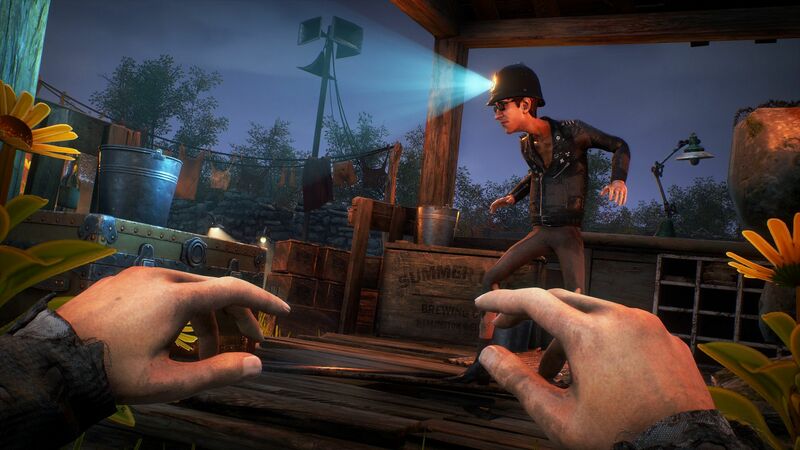 Some of the most entertaining escape moments in We Happy Few involved trying to find a safe and quiet spot to ride out a Joy withdrawal without being caught by a hostile mob. The only improvement that the game could make is allowing players to skip past a Joy withdrawal when they are not actively being hunted, are away from patrol routes, and are in a hiding. The level design is dull. Missions are generally involve sneaking somewhere to either collect an item or flip a switch. There are plenty of side quests, but they don’t stray from the formula. While the game is open world, there are large expanses of dead space in the rural areas and mission areas are extremely linear. 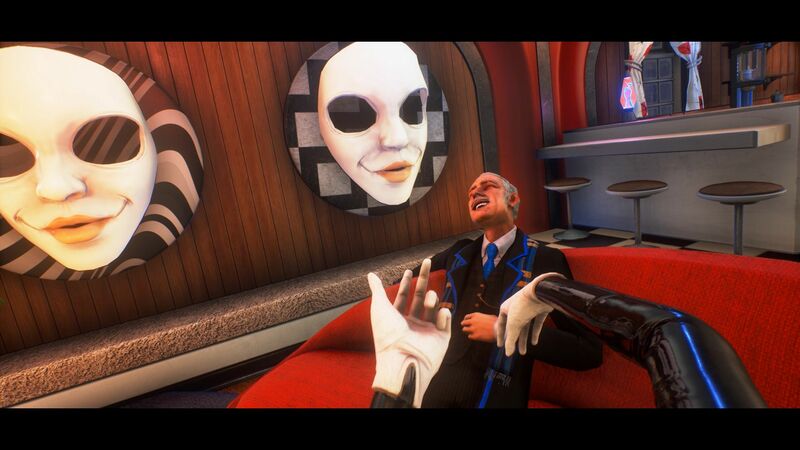 The PC version of We Happy Few is reasonably well executed. I didn’t run into any serious issues, though there was the rare short load screen while walking around town. PC options provide support for FOV, uncapped frame rates, frame rate smoothing, native ultrawide resolutions, and generous closed captioning. The only improvement that can be made is offering an option to link the X and Y axis mouse sensitivity together to provide equal adjustments. We Happy Few has a great aesthetic style, but quantity of assets is severely lacking. 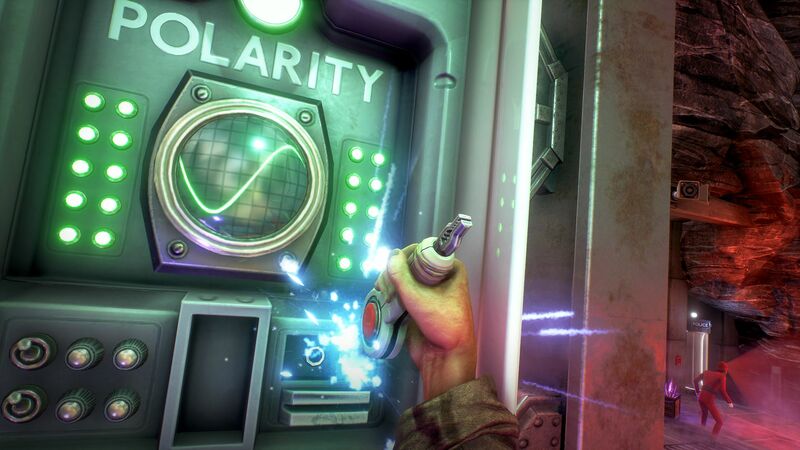 The game has a beautiful clash of dreary dark earth tones and psychedelic shades to mark the differences between the painful reality and the Joy-induced bliss. Being on Joy is a cross between an Austin Powers film and Team Fortress 2’s “Meet the Pyro” short film. On the flip side, it becomes obvious after a few hours that the game is short on art assets. Each area in Wellington Wells starts to look the same, especially the NPCs. Each zone has a small handful of models, and it’s quite common to see two or three pairs of the same NPC on the same street. The audio experience in We Happy Few is very good. The voice acting is excellent. The sound effects are solid. The soundtrack is a pleasure to listen to. It pairs nicely with the bipolar nature of the game, supplementing the dreary moments and accentuating the experience of being on Joy. We Happy Few offers an incredible world to explore, a solid story, and excellent presentation. The game has some intriguing gameplay mechanics, but the execution just falls flat. The stealth system is hobbled by the game’s poor AI and the combat needs to feel tighter. While anyone willing to endure the mechanical shortcomings will be rewarded with a great world, the shortfalls are just too many to be worth it for most people. 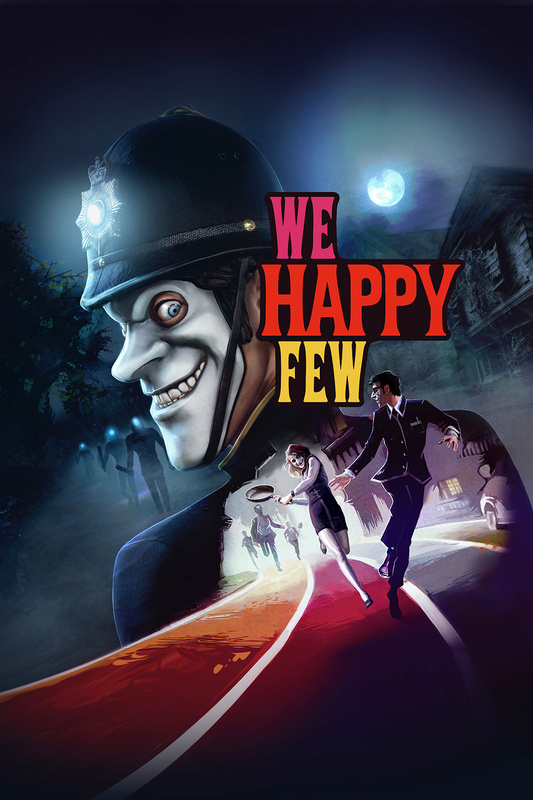 We Happy Few offer a fantastic world but fails to provide a pleasing combat experience or solid stealth gameplay.